In a break from my usual recipe format, I am presenting an entire day of low GL recipes on one page. Try preparing these three balanced meals with the included snacks and see how full you feel throughout the day. This whole day of meals falls well within the 35GL allowance for a low GL diet. Scrambled eggs with smoked salmon and spinach. Tray baked chicken breast with vegetables. Roasted tomato soup with Parmesan shavings, 2 cheese flavoured oat cakes. Baked apple with plain yoghurt (150g) and 1 tsp sunflower seeds (8GL), small bowl of mixed fruit salad sprinkled with 1 tsp mixed seeds (5GL). Mix the eggs, water, salt and pepper in a bowl and give it a good whisk until a light, airy texture is achieved. Melt the oil in a non stick pan and add the eggs. Gently fold the eggs with a wooden spoon until they are almost set. 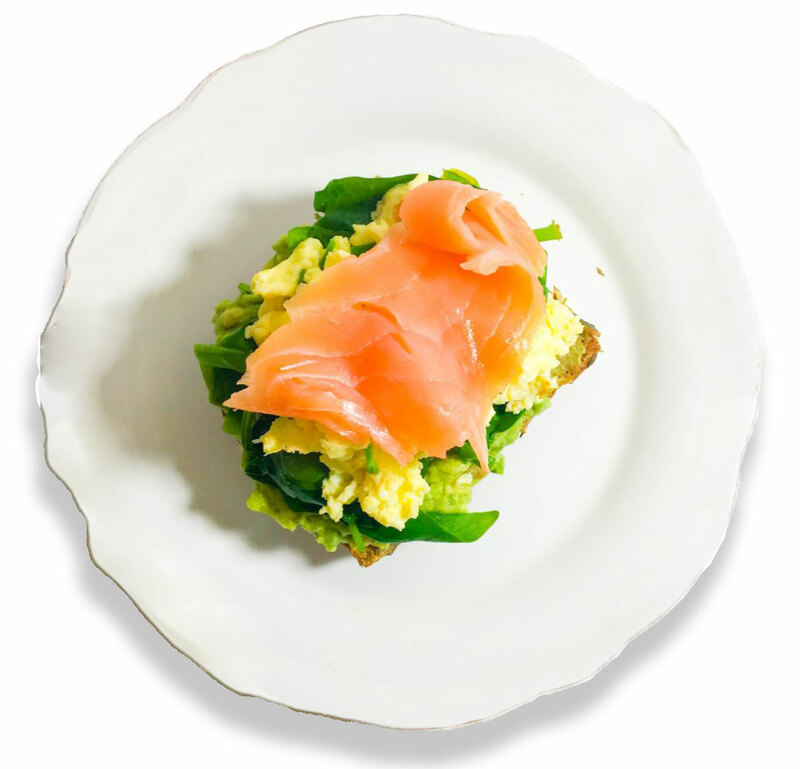 Serve on a slice of toasted rye bread with raw spinach leaves and top with smoked salmon slices. Serve in bowls and sprinkle grated parmesan over the top.